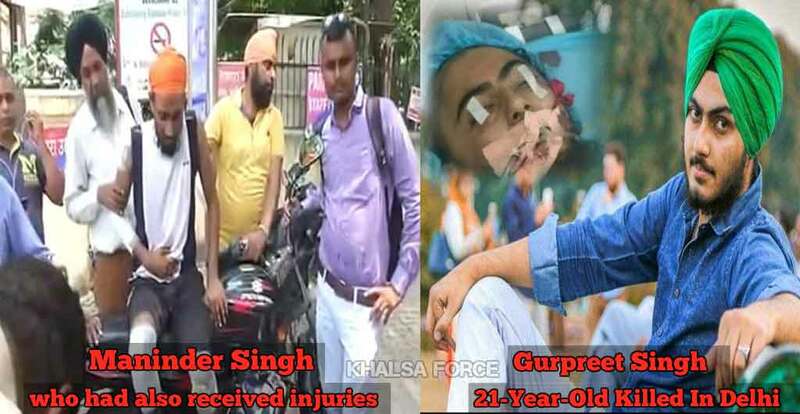 New Delhi: A 21-year-old Sikh man was killed and his friend was severely injured when a car reportedly hit their bike in the small hours of Monday (Sept. 18) following an argument with the vehicle’s driver in Safdarjung Enclave. The accused, who was arrested on Monday itself but was released on bail, was again held on Wednesday after charges of intention of murder were framed against him, a report in The Hindu quotes police. Gurpreet Singh and his friend Maninder Singh, 22, were out shooting for a project given by their photography institute on the life of the city’s pavement dwellers. At 4.30 in the morning on 17 September, they stopped at the eatery near the All India Institute of Medical Sciences in south Delhi for tea and snacks. “He told us had you been in Assam, I would have killed you and no one would have got to know about it,” he said. They left soon after. He lit up a cigarette near them and was blowing the smoke in their face, Gurpreet Singh’s father told NDTV. “We asked him to move a little away so that the smoke does not come towards us,” added Maninder Singh, who had also received injuries in the accident. Maninder Singh called up his friend’s family in Punjab’s Bhatinda around 6.30 am to tell them about the crash. A police officer, however, insisted that stringent penal sections were added later after Maninder Singh’s statement was recorded. The police said Rohit Krishna Mahanta had also been injured in the crash. A constable has been deployed outside Rohit’s room at Apollo Hospital where he is under treatment, said Chinmoy Biswal a senior south Delhi police officer. “Once he is medically fit, we will arrest him,” he said, according to IANS. “We were working on our ‘Life of people on footpath in Delhi’ after which we stopped to eat something. This man was drunk and started blowing cigarette smoke in our face. We objected as we are Sikhs and smoking is against our religious beliefs,” The Hindu quotes Maninder Singh. “He got into an argument and said that if we were in Assam, he would kill us and no one would get to know,” he added. Police later confirmed that the accused was drunk. Gurpreet’s family said that the duo decided to leave when the accused threatened to kill them. As the duo got on their bike and left, the accused allegedly followed them and hit them from behind. The speed of the car was such that it also hit an auto-rickshaw and a cab that were in front of the bike. Maninder Singh, though out of danger, is undergoing treatment. Based on the cab driver’s statement on Monday, the police registered a case under Section 279 (rash driving) and 337 (Causing hurt by act endangering life or personal safety of others) against the driver. Mahanto, who was caught right after the incident, was taken to AIIMS where his medical examination was conducted and he was found to have consumed alcohol beyond permissible limits after which Section 185 of the Motor Vehicle Act was also added to the FIR. On Wednesday — after the deceased’s family demanded a probe — the police recorded Maninder Singh’s statement. 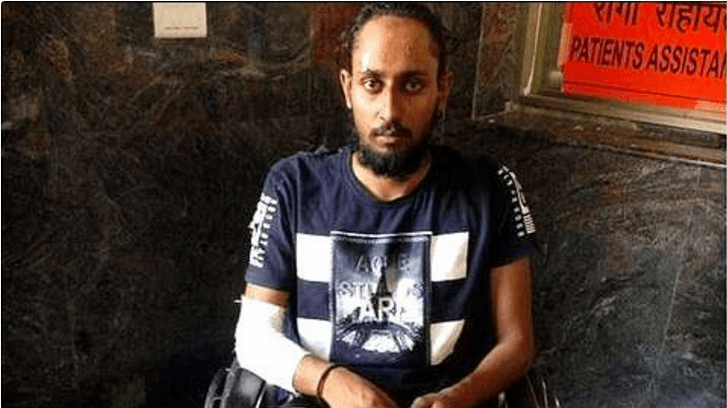 “In his statement, Maninder alleged that Rohit had a heated exchange with them just before the incident and had threatened them of dire consequences,” said Additional Deputy Commissioner of Police (South) Chinmoy Biswal. This led the police to add Section 302 (punishment for murder) and 307 (attempt to murder) against the accused, notes The Hindu. According to the police, Mahanto, a resident of Defence Colony, is a lawyer under the Standing Counsel of Assam government and his father Anil Kumar is a doctor. Maninder Singh, who is undergoing treatment, said after arguing with Mahanto, they ignored everything; but the accused returned with his car and hit them. Gurpreet, who became unconscious on the spot, was taken to a hospital; he succumbed to his injuries after three days. Family and friends of Gurpreet, hailing from Bathinda, are demanding justice for the victim and started an online campaign.